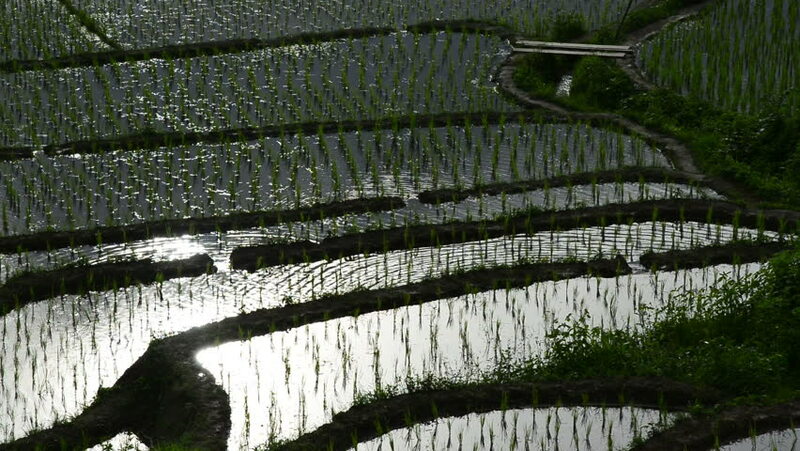 Looking down at flooded rice field terraces. hd00:18Rice sprout in the rice field and palm leaves. Bali, Indonesia.